Thanks to the availability of affordable kilns and the vast creative potential of the material, glass crafts keep growing in popularity. There's no better place to learn the essentials of the art than this superbly photographed full-color manual. 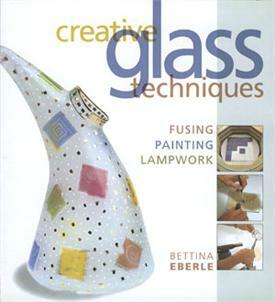 It introduces beginners to three major, accessible techniques for creating a variety of pieces--fusing, painting, and lampwork. The 32 elegant, hands-on projects range from a shimmering oval mirror to a vase sparkling with colorful lusters and crystal ice.